Finished Mar 2017. Final score: 3 / 5. The book was recommended to me. I saw the Tim Curry IT series, but that was a long while ago, and I do not remember much. 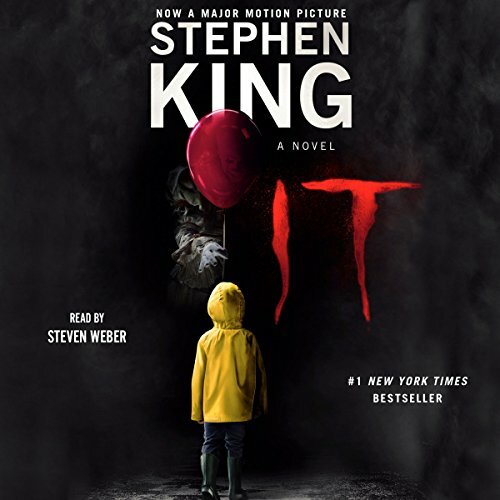 If you enjoyed the IT miniseries, and don't mind really long books, you will enjoy this one. Some would describe It as a 2-part book (first as kids and then as adults). I would describe it as an 9 part book. It has Derry with The Losers Club. It has Derry as the adults. Then it has the backstory of each of the 7 characters. This thick tome could use some trimming. Perhaps drop a couple characters from The Losers Club? Some of the backstories were interesting, but not THAT interesting. Perhaps Stephen King is not the author for me. I enjoy books that are efficient. From his forewords, he knows his books for are meant for entertainment and he does not mind adding some fluff if he thinks it adds to the entertainment value. I'm not that impressed by that. Anyway, I back to the horror side of the book. I just did not feel suspense wondering if so-and-so will escape. However, what does seem to have an effect on me is reading about horrible situations. I pause and think, "OMG. Did that just happen?" The children of Derry, with their parents and Pennywise The Clown, seriously suffered in a bad environment. For fun, now that I read the book, I rewatched the Tim Curry IT miniseries. I got mad several times. The movie itself was actually a pretty favorable representation of the book. What angered me was the degree of suffering and pain that the characters are enduring. Take every scene of abuse in the movie. Multiply it 10x. That is what happened in the book. It took me a while to realize that the movie was made for TV. They had to tone it down. Once I accepted that constraint, I started enjoying it more. Discuss It in the forums.